When a person dies and there is more than one will, it can come as a surprise to family. No matter which side you’re on, you will need to discuss your options with a Florida probate lawyer. A careful investigation will be necessary to determine whether a will contest is appropriate. It may be that one of the wills produced has a clear claim, or it may be necessary to initiate probate litigation to assert the validity of one will over another. Many people understand the importance of updating their will and other estate planning documents when important life events occur, such as when there is a marriage, birth, death or major falling out or formation of new romantic ties. Wills can be updated and recipients of certain assets can be modified. That’s why it’s not unheard of to have two or more versions of the same will. The problem with having numerous wills is that it can ultimately result in the assets of the testator (creator of the will) not being distributed according to his or her desires. 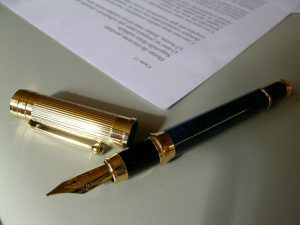 A Fort Lauderdale probate lawyer can explain in more detail, but generally, the courts will seize on the most recent version of the will. Ideally, all copies of the previous version of the will would be destroyed and the updated version should distributed to all concerned so there is no confusion. Of course, real life is rarely so tidy, and Florida will contests are fairly common.